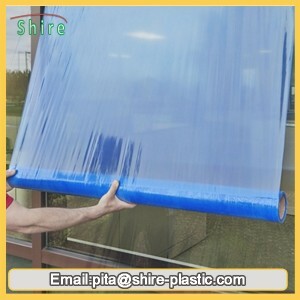 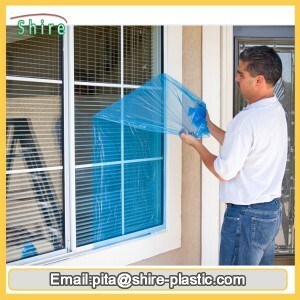 Our PE Blue film offers stable adhering capacity, is easily applied and leaves no residue behind when removed. 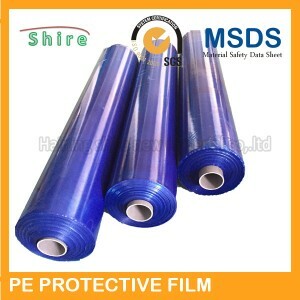 This product can effectively protect the surface of new product from scratches, damage and contamination during transportation and installation. 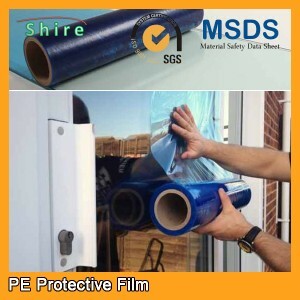 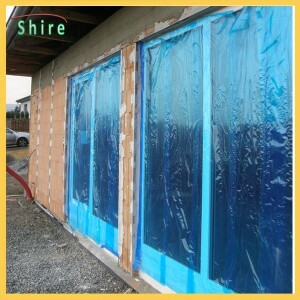 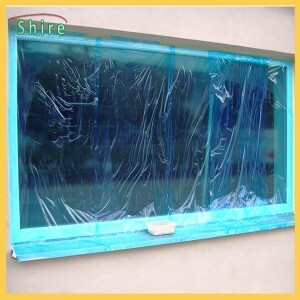 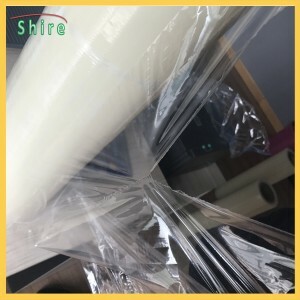 With a width of 100-2000mm and a length of 100-1000m, SHIRE aluminum composite panel protection film is able to suit customers' different needs. 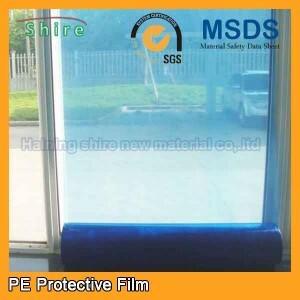 In addition, our PE protection film is available in a variety of colors, such as transparent color, blue, white, etc., on which patterns and words can be printed according to customers' requirements. 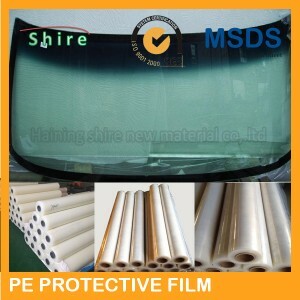 Moreover, our protection film can be customized. 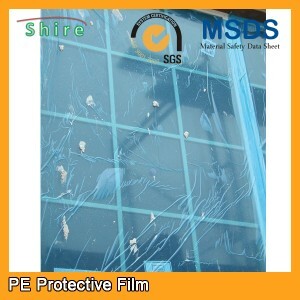 Polymer film for aluminum composite panel is available.